Catalogue > Cities: maps and sights of cities and villages > 7. South Holland > RHOON. Huis Valkenstein. 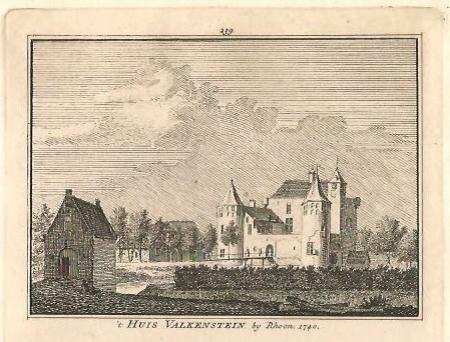 "'t HUIS VALKENSTEIN by Rhoon. 1740." Kopergravure uit circa 1750 door Henry Spilman. Tekenaar: Cornelis Pronk.